The Ash-throated Flycatcher is nearly identical to Great-crested Flycatcher in shape and size, but the ATFL shows more muted brown and tan colors on the back and less gray. The breast of the ATFL is a light gray that dissolves into a yellow-ish-beige in the belly area. The breast of the Great-crested Flycatcher is a strong gray that meets with a brighter canary yellow on the belly. The tails of both species are similar in the field. The throat of the ATFL is a significantly lighter shade of color than the crown and nape. The GCFL shows a deep gray on the throat similar to the bird's nape. Important: The coloring can be deceptive in certain lighting. 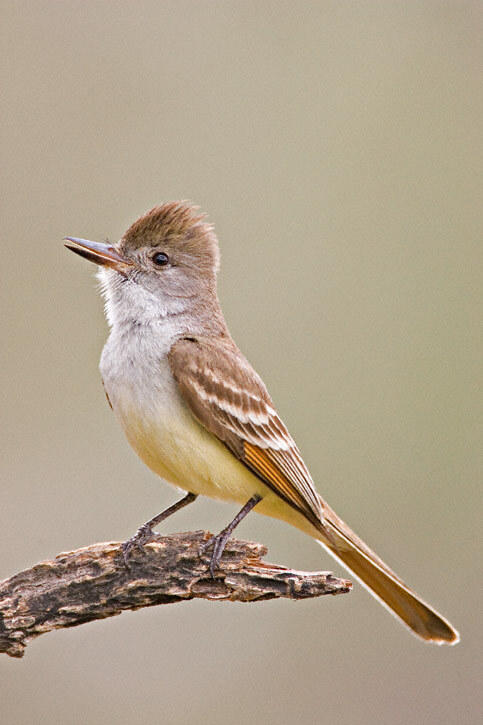 Status and Distribution in North-central Texas - The Ash-throated Flycatcher is a rare winter resident and uncommon summer resident in the western half of North-central Texas. 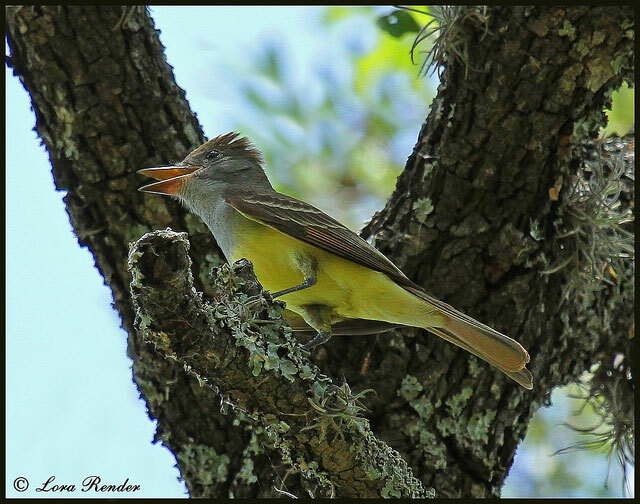 The Great-crested Flycatcher is a common migrant and summer resident in the eastern half of North-central Texas.